At A&A, we utilize thermal spray coatings to provide lubricity, insulation, sacrificial wear, chemical resistance and other highly desirable surface properties to a range of printing machinery components, thereby playing a pivotal role in maintaining operational efficiency in printing houses. The re-engineering and resurfacing of a wide selection of moving and rotating parts for a variety of printing machines has been a success of A&A over the past 60 years. This includes paper presses, paper making machines, and steel rollers. 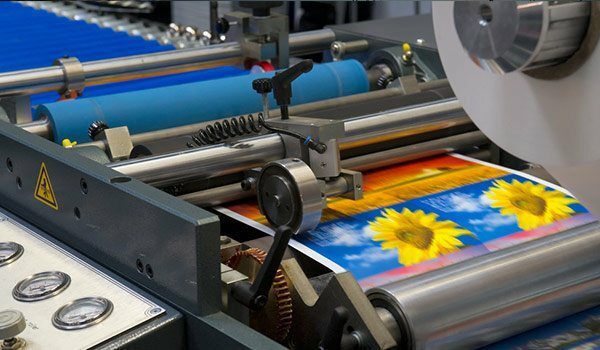 The printing and packaging industry extensively uses rubber-coated steel rollers primarily for applying ink, adhesive and for paper transportation. As the bearings at both ends of the rubber-coated rollers are subject to exposure to ink adhesive and other types of debris, these parts eventually become saturated with debris, affecting the performance of the roller. This is where thermal spraying comes into play. Coatings of stainless steel, steel and aluminum alloys can be applied to restore worn journals on rubber and other rolls subject to wear within many different types of printing machinery. Additionally, A&A can apply wear resistant coatings to these areas to minimize or eliminate the likelihood of wear before it occurs. Lastly, ceramic coatings such as Chromium Oxide can be applied to laser engraved rolls to eliminate wear and corrosion issues which are inherent in the printing industry. Our Coatings offer a range of solutions for the printing machinery industry, with an aim to increase operational efficiency and reduce operational costs by eliminating corrosion and wear within the process. A&A Coatings has specialized expertise in a variety of coating techniques that have been widely and successfully used to upgrade or add properties to components used in the paper and printing industries. We also offer a range of repair solutions including but not limited to repair and reconditioning, heat shielding, applying anti-corrosion coatings, erosion and corrosion prevention and insulation. Being one of the most reputable coating engineering companies in the United States, we are confident of producing results every time we are assigned with the task of upgrading and repairing paper and printing industry equipment. A&A Coatings is a trusted name in the field of thermal spraying since 1944, and we have deep connections with many businesses in the printing machinery industry. Our spray technicians and materials engineers work in a state-of-the-art facility that is devoted to the applications of metal, ceramic, cermet and hard faced coatings. If you want to get the best thermal spray solutions for your printing machinery, A&A Coatings is your ideal partner so give us a call or send us an email to get started!